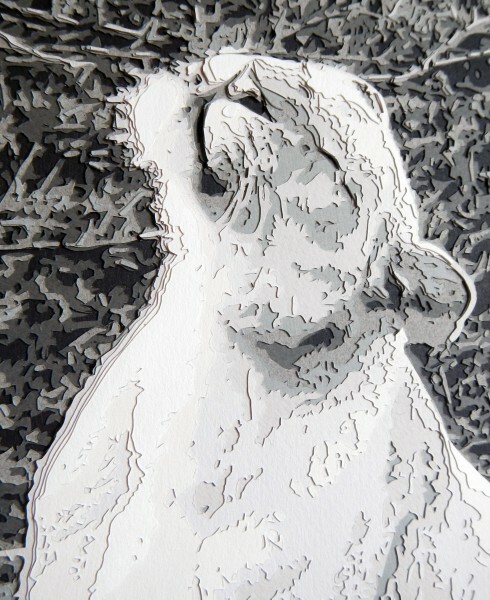 I am an emerging paper artist currently living and working in Mississauga, Ontario. After graduating from Cawthra Park Secondary School as a visual arts major in the Regional Arts Program in 2003, I went on to complete my BA in psychology, with a minor in art history, at Carleton University in Ottawa, Ontario graduating with highest honors. I then decided to complete further studies in visual arts at the University of Toronto in the art and art history program. After working a few different jobs since finishing school, I decided to pursue art full time in mid-2012. After experimenting with a wide range of different media over the years, it wasn’t until fairly recently that I discovered my love for paper cutting. I developed my technique by chance one day while attempting to create a pop-up birthday card for a family member. After a few failed attempts and many revisions of what I was trying to accomplish, I ended up with a semi-realistic image recreated in paper. I loved the process and the end result so much that I continued to experiment and develop my technique. Art has always been an important part of my life. I strongly believe in the therapeutic benefits of creating art and personally find the process of paper cutting helpful in coping with my depression and anxiety disorders. Not only do I enjoy creating my paper cuts, but I also find the end result highly rewarding, especially when I am able to share my work with others. My other interests include horseback riding, abnormal and forensic psychology, and almost anything that involves animals. I find paper a very challenging and enjoyable medium to work with. I base my paper cuts on high-contrast photographs (early on I primarily used popular public domain images or photos, I am now starting to experiment more with photography and try to use my own photographs as much as possible). With a little computer magic, I reduce the image to a few shades of grey – anywhere from 3 to 9 different tones. Each shade is represented by a different layer of paper. I then trace out each layer separately and cut out each piece by hand (usually with tiny scissors or an exacto knife). I layer the different colours on top of one another to create a highly realistic, one-of-a-kind piece of art. For the most part I recreate images in grey scale or monotone, but I have started to experiment more with colour. A close-up of the Lioness reveals the different layers of paper used to create the image. I think one of the best parts of working with paper is that my work is often mistaken for photographs or paintings. It isn’t until you are up close to the piece that you notice it is actually created from paper. I have covered a wide range of subject matters that reflect my own personal interests and those that I believe would offer a new challenge to my technique. I have also completed a number of commissioned works. 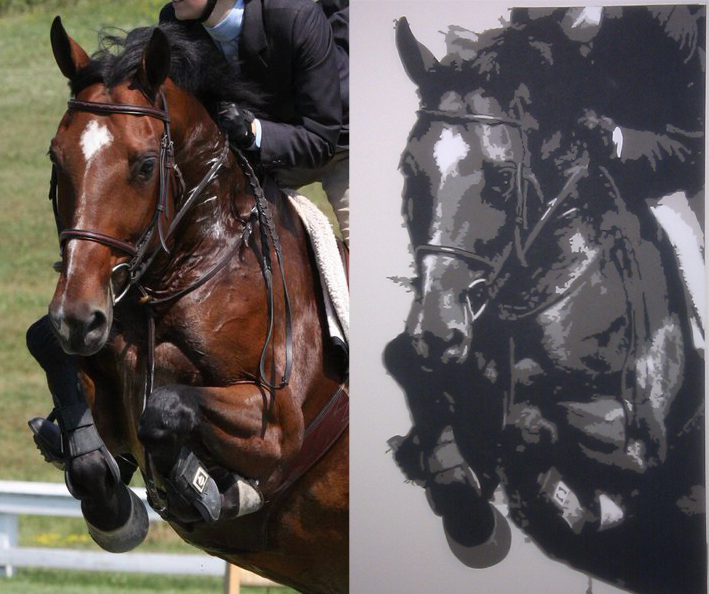 “Rudy.” On the left is the original photograph and on the right is my paper cut based on the image. Have a photograph or image that you’d like to see made into a paper cut? Feel free to contact me for more information.